Last week I wrote an opinion piece on the role of sports tourism in the Fiji tourism industry mix and the great potential it held. From that article there was a significant amount of feedback and a number of questions were asked on issues that I had failed to cover due to lack of space so I will look at these issues now. From the reaction from within the industry it appears that there is a high level of awareness of the potential for growth in the sports tourism sector. A number of operators commented that the sector was not particularly price sensitive and that they could be persuaded to visit in a low period, helping to fill low demand periods. There was some confusion of what constituted sports tourism, with people commenting that I had not mentioned the coming Crusaders verses Chiefs game in Suva. While this is indeed an important event and one that will assist the tourism industry through exposure of the country through international sports media, it will do very little to directly affect tourism numbers. By definition, sports tourism is an event where a significant number of people with a common sporting interest come to Fiji to be involved in that sport and to also enjoy the other things the country has to offer. So a group of Golden Oldies comes and plays in a tournament between themselves, but also go on tours to the islands, goes fishing and maybe they visit a village. There was some comment that sporting clubs are not big spenders. I have no data on this but for sports tourism we are not talking about a local cricket club in suburban Sydney. Internationally, experience has shown that the sort of people involved in sports tourism are generally more mature, financially well off and prepared to spend money on themselves. These people often form a large group and usually the events are well organised by travel consultants with tours and entertainment for the spouses while the sports person is playing. Often the player is accompanied by more than one other person, sometimes whole families are involved in the trip. There were comments that there was not enough sporting infrastructure and what existed was not of a high enough standard to satisfy this sector, Suva had some of the best in the Pacific. That is true, but while there is adequate sporting infrastructure such as grounds, stadiums and pools (there are two (fifty metre pools) there is not enough hotel and resort type accommodation within easy reach and most international flights arrive at Nadi International airport. The main requirement for this sector is that there are well presented places for the event to be held and that there is enough accommodation with resort facilities within easy reach. Unfortunately, most groups would regard the Suva offerings as inadequate for their purposes. These people have a wide variety of destinations to choose from and Fiji will always need to compete in these areas. For our main source markets of Australia and New Zealand, Hawaii, Singapore, Bali and Malaysia are viable alternatives. If we are to become serious contenders in the sports tourism market we need to provide acceptable sporting facilities in the West, close to Nadi. Fiji Sports, the controlling body for sport in Fiji, is well aware of the need to build infrastructure in the west. Currently, rugby and soccer is fairly well catered for but otherwise there is a significant lack of facilities. For example, there is no fifty metre swimming pool, a mus- have for international competition, no indoor basketball, volley ball or net ball facility, no good athletics grounds, in fact, very little of anything. Fiji Sport does have plans and a program to rectify the situation and will start to do so in the future. Lack of facilities doesn’t appear to deter the locals (over half the Fiji Swimming Team comes from the west, 45 per cent from one school) Serious overseas swimmers demand a full size venue. And the investment would return far more to the economy than is currently being earned. Government is aware of the potential for economic benefit from sports tourism and the Minister for Sport announced at the Tavarua Surfing Event that sports tourism was a Government priority, so you can expect some strong action on delivering the infrastructure. The government recognises the economic benefits that will be delivered by the sport tourism sector, but they also understand the huge benefits of international media exposure that are also delivered. As this is such a significantly underdeveloped sector, very strong growth is expected. At the opening of the Oceania Championships the Prime Minister said that swimming was now a Tier One sport in Fiji and we were making our presence felt. He stated that competition pools would be built in the west to encourage more participation and these will prove very attractive for sports tourism as well. With world class facilities available in the Nadi area there will be a surge in the number of events the sports tourism sector will bring to Fiji. Throughout the world there are a group of specialised tourism wholesalers who concentrate on sports tourism. They develop packages for the different sports and market these directly to interested groups. Often they have the backing of the international sports bodies such as World Rugby and design the packages with their help and marketing support. One such product is “Golden Oldies Rugby”, now a highly organised product strongly marketed out of New Zealand. Database marketing is very tightly target for this sector and excellent lists are available. The sector is usually organised on long lead times, generally a year or longer in advance of the event and booking numbers are usually realised. 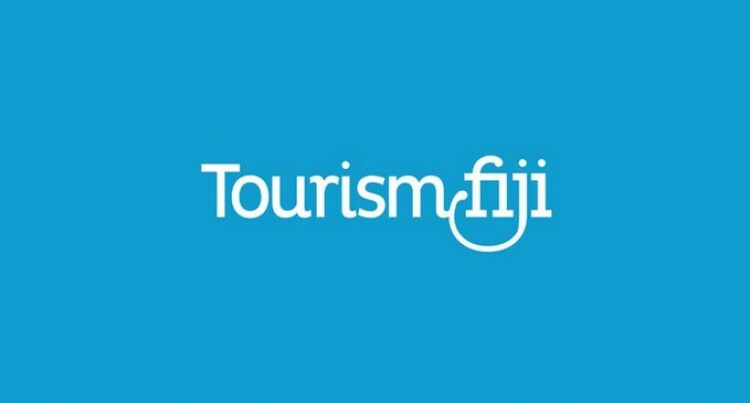 So there is a whole tourism sector out there waiting for Fiji’s attention and very little money needs to be spent to ensure that we are able to compete of an even playing field with the other destinations in our region.